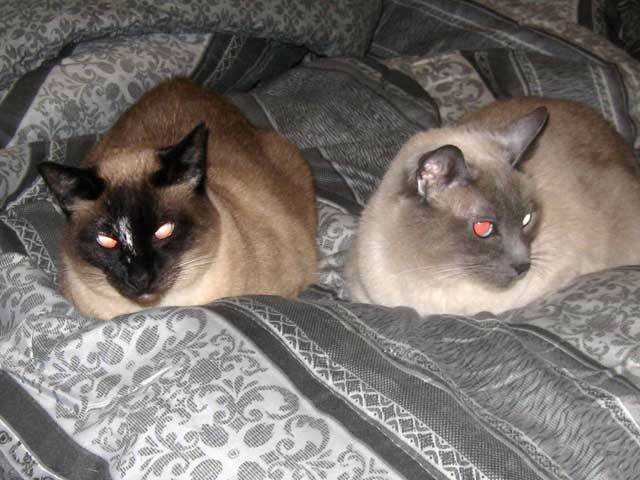 A friend was giving up her apartment and her job was putting her on the road more so she had to find a home for her two girls…a pair of Siamese cats. This sweet pair is gainfully employed now…guarding the Old Vic and keeping our boys (Pierre and Geronimo) bamboozled. The boys are taking it as well as boys always do when girls arrive…they are occasionally fascinated yet usually confused. The girls for their part, are having a blast. The Old Vic is a cool place to explore, even from a cat’s eye view. For our part…well…with four cats trying to find a warm spot in the bed on a cold night…it just makes rolling over ever so much of a challenge. I can say for sure though that 4 cats is about the same wattage as an electric blanket!